Looking to get married in the latest Elder Scrolls game? If you want to get married in The Elder Scrolls Online, the first thing you’ll need is access to a copy of the Imperial Edition of the game, digital Imperial Edition is $ 79.99 as compared to the digital Standard Edition at $ 59.99. You’ll need access to one copy of Imperial Edition per couple, as it provides a copy of the in-game Pledge of Mara item. Players that have access to one of these can marry anyone, regardless of the edition the other player owns. The Pledge of Mara is used to initiate the Ritual of Mara. This special ceremony can only be performed at a Shrine of Mara. These are often located in major cities, and are accessible right outside of the tutorial area for those that want to get hitched right away. At these shrines, the player with the Pledge of Mara places it in the quickslot wheel and then targets the other player. If the other player accepts, it’s congratulations for the happy couple! Note that the Pledge of Mara can only be used once – currently, only one of your characters can use it. But wait, there’s more! Players joined in this harmonious union will receive a Ring of Mara with their partner’s name on it, which can be worn to provide an experience bonus when adventuring with the other player. Currently, there is no way to break out of this commitment – your character is married for life. These marriages are character-level, not account-level, so you can only avoid your marital obligation by deleting or not playing the character. 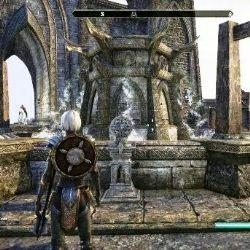 While there’s no other way to get a Pledge of Mara right now other than the Imperial Edition, players have speculated that it may become available by other means in the future.